Previously an editor at Town & Country magazine, Alexis Clark is a freelance journalist who has written for the New York Times, Smithsonian Magazine, NBC News Digital, Condé Nast Traveler, Yahoo, The Root, and other publications. 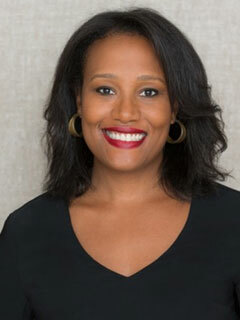 An alumna of Spelman College, Clark holds master’s degrees from the University of Virginia and Columbia Journalism School, where she’s currently an adjunct professor. The author of Enemies in Love: A German POW, a Black Nurse, and an Unlikely Romance, she lives in New York City.